Choosing the right care for your child is going to be one of the most important decisions that you will make for your child. We understand each parent has a different set of needs. We are here to support you so you can excel at doing what you do best, without worrying about the quality of care your child is receiving. We offer full time programs for children under 3 years old, and both full time and part time programs for all children over three years old. 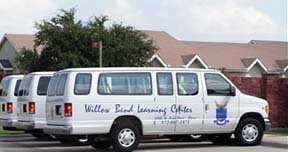 We also offer pick up and drop off to Beaty Early Childhood Learning School, along with the corresponding half day program. Please click on a tab to learn more about our different programs.